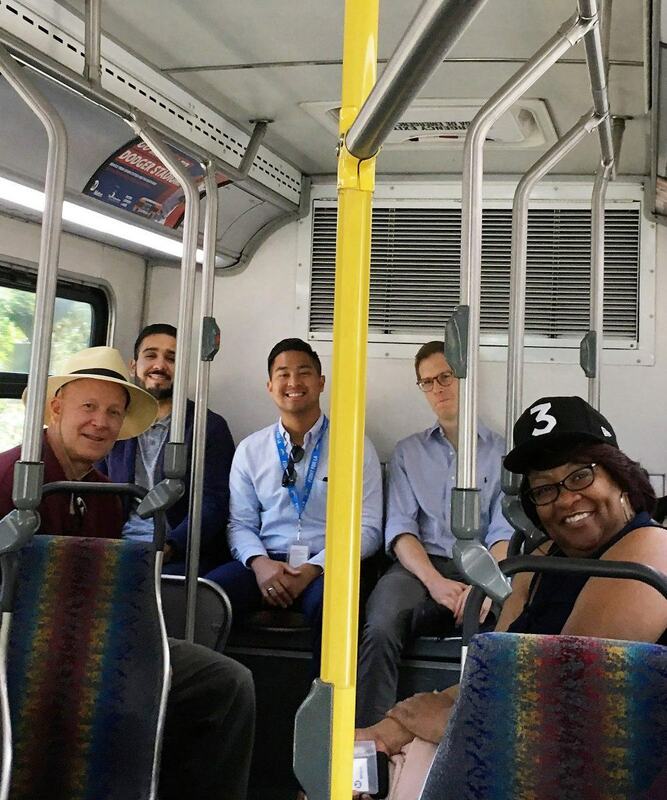 Riding is believing: Metro kicks off Ride Along Program | Propel L.A.
Could a simple bus ride change our perspective on how to solve transit’s toughest problems? Any good designer knows that understanding a system they seek to improve is critical to success. But understanding it as a designer is not sufficient. To create a truly great system, you must empathize with the user. At the Office of Extraordinary Innovation we believe that riding the system is crucial to understanding how best to improve it. And that does not just mean riding to and from work, which offers a narrow view. This is why OEI has created a new Ride Along program that gives employees at Metro Headquarters the opportunity to get out from behind their desks and ride a mile (or more!) in our customers’ shoes. Our first ride took us from Union Station through downtown Los Angeles and along the ExpressLaneson the Silver Line on the 110 freeway. From there, we took the Green Line to Willowbrook/Rosa Parks Station and boarded the Blue Line back downtown for our connection home via the Red Line. 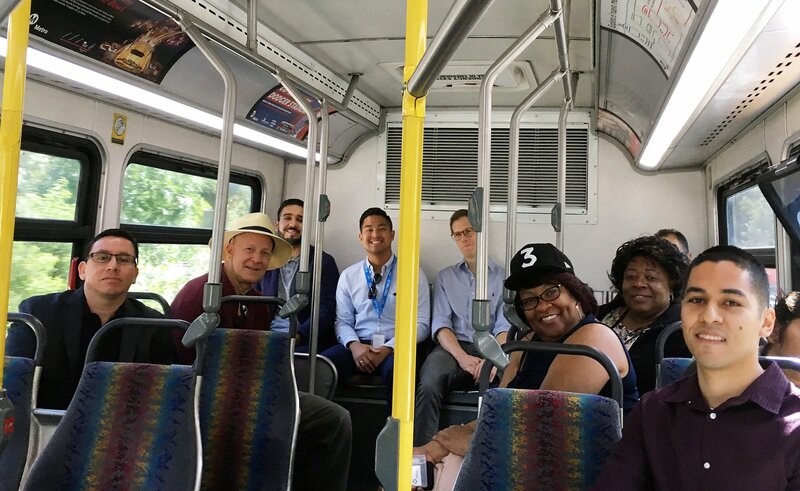 For our second ride, we hopped on the Purple Line to Pershing Square, where we boarded the Montebello 40 route at Pershing Square. The bus broke down (it happens), but we grabbed the next one to Atlantic Station. From there, we took the Metro Rapid 762 to South Pasadena where we strolled through the business district en route to the Gold Line back to Union Station. For our third ride, we toured Metro’s new Bike Share system in downtown Los Angeles, learning how to use the system and visiting eight of the 61 stations, as well as bike facilities along Los Angeles and Spring streets. At OEI, riding the system to develop a deeper understanding is a deeply held cultural value. It gives us the space to see how our work hits the ground, and we think everyone should have that opportunity whether they are an executive, an accountant or an administrative analyst. With three outings under our belt, we have forged new questions, insights and relationships about the rider experience. For example, we gained a better understanding of why we need to make connections easier, provide more accurate real-time trip information, cut wait times and develop new service models that fit local context. Understanding our service in the real world helps us improve, stay accountable, and build a balanced transportation system that can work for everyone. It gives us ideas and it reminds us of why we come to work each day. In the spirit of innovation, this program is an example of implementing an idea and iterating to make it better.